HITS » Cassio Rivetti and John French Lead the Way at Week II of the HITS Coachella Desert Circuit! 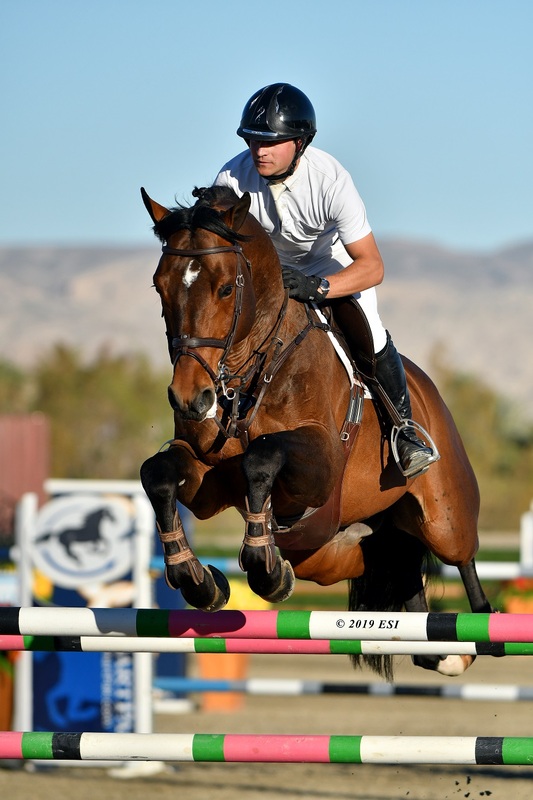 Cassio Rivetti and John French Lead the Way at Week II of the HITS Coachella Desert Circuit! of the HITS Coachella Desert Circuit! The second week of Hunter and Jumper competition is a wrap at the AON HITS Desert Horse Park. 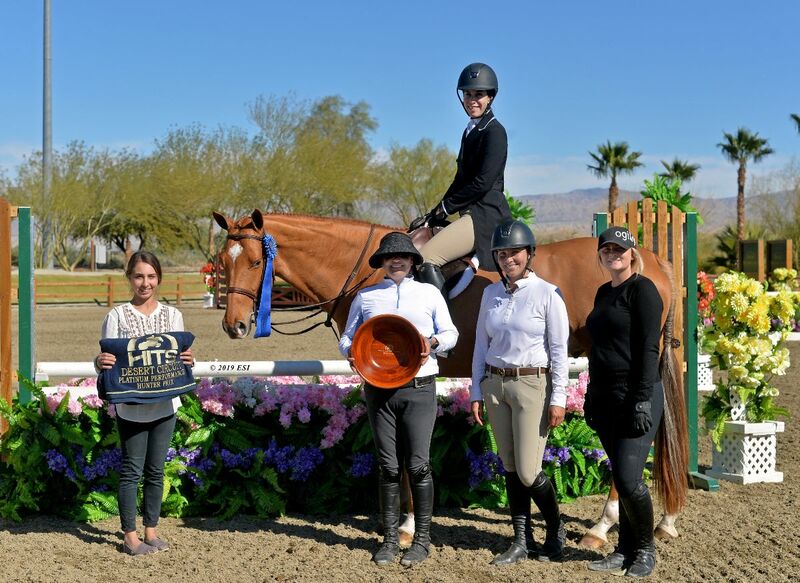 Sunshine and blue ribbons were plentiful during Week II of the HITS Coachella Desert Circuit. Mathis Schwentker would continue his winning streak from Week I and take home the blue ribbon in the $5,000 Johnson Horse Transportation Open Welcome. Schwentker would guide CHICO P across the finish line in a time of 36.109. Schwentker (pictured to the right) also had a blue ribbon ride in the $30,000 SmartPak Grand Prix aboard NKH CARUSO, winning the speed class in a time of 65.589. Karl Cook’s ride aboard E’SPECIAL P.S. would secure the blue ribbon in the $10,000 Summit Joint Performance Jumper Classic, as he crossed the timers in 42.139. The winning round in the $15,000 KindredBio Jumper Classic was Will Simpson, aboard WHOOP DE DOO. Simpson rode to a fault free time of 41.580. First Place in the $1,000 Charles White Hay Sales U25 Classic was Danielle Lean and DEXCEMINKA. Violet Lindemann Barnett and CHIP VA took the blue ribbon in the $3,000 Junior 1.20m Jumper Classic. Leading the way in the $3,000 A-O/Am 1.20m Jumper Classic was Carrie Wicks and WENDERSCHON Z. Taking top honors in the $5,000 Jr/A-O/Am 1.35m Jumper Classic was Emma Catherine Reichow and FOREVER ALVE. Alessandra Volpi and FOSTER 39 took the blue ribbon in the $10,000 Jr/A-O/Am 1.45m Jumper Classic. Cassio Rivetti (pictured below) and HARRIRI took home the blue ribbon in the $70,000 Go Rentals Grand Prix. To secure the top honors Rivetti crossed the timers in 37.536. 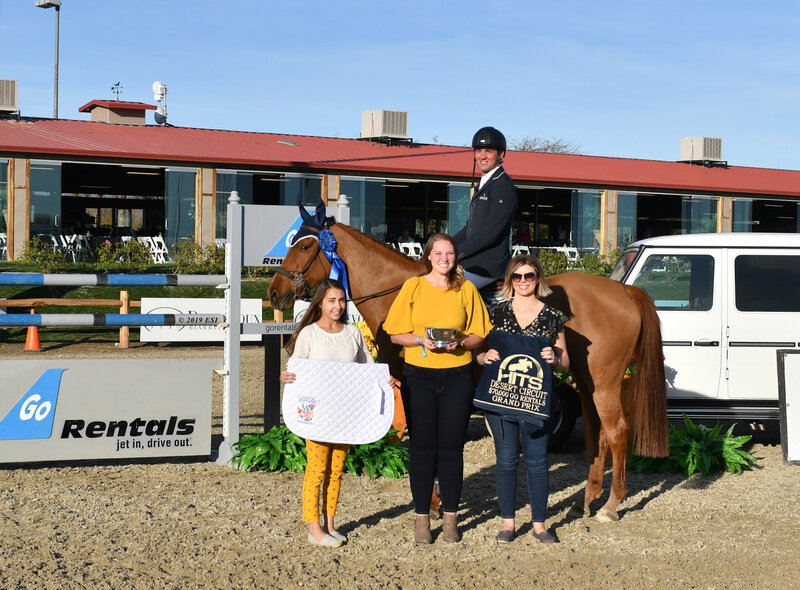 Hunter riders showed up to compete for the blue ribbon and qualifying points for the HITS Championship in the Platinum Performance and Devoucooux Hunter Prix. Qualifying points can be accumulated throughout the year towards the HITS Championship that takes place each September in Saugerties, New York. Standings are updated on HitsShows.com each week! Irene Neuwirth topped the field in the $1,500 Platinum Performance Hunter Prix for the second week in a row aboard TWINKLE TOES. Neuwirth would score an 86 in each of her rounds for an overall score of 172. The blue ribbon in the $5,000 Devoucoux Hunter Prix was awarded to John French for his ride aboard DELMAR. French was awarded a score of 85 in round one and 88 in round two for a combined score of 173. 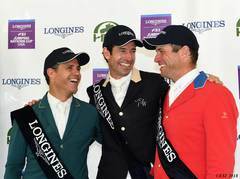 Along with the blue ribbon finish in the Prix, French was named the Adeptus Leading Hunter Rider for the week.